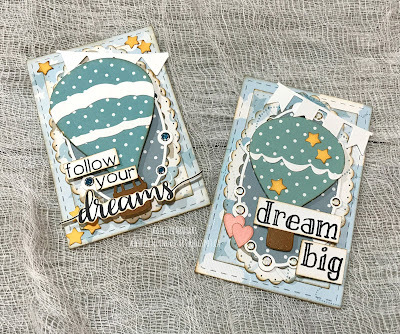 Today, I get to share with you these two cute ATC's which feature a variety of dies from Els van de Burgt Studio and Joset Designs along with ModaScrap patterned paper. Grab a cup of your favourite summery beverage and enjoy as I walk you through some of the elements on my ATC's. 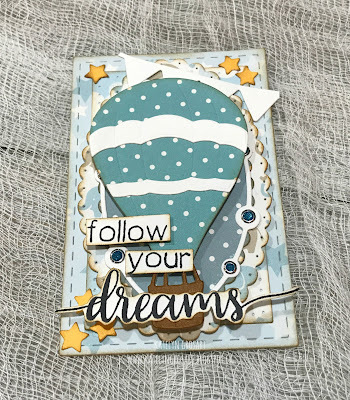 My first ATC is the Follow you dreams which features the My Little Boy patterned paper from Modascrap as well as a few dies from Els van de Burgt Studio and Joset Designs. To add some extra detail in the bottom left, top left and top right corners, die cut six stars from the Hot Air Balloon die out of Yellow Soft Finish Cardstock. 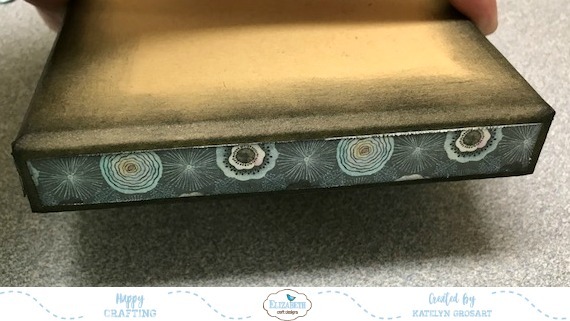 On the Beaded Oval Frame, add some Turquoise/Silver Glitter Dots to the beads on the frame. For the sentiment, stamp the sentiment first and then cut it apart. Make sure to ink your edges of each element. 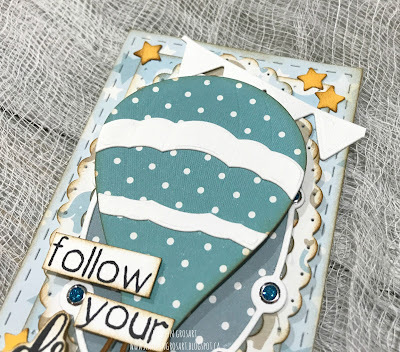 Add the pennant banner from the Celebration Flags die underneath the Hot Air Balloon and overtop of the Dotted Scallop Ovals. By keeping the Hot Air Balloon simpler, it pops off the ATC. 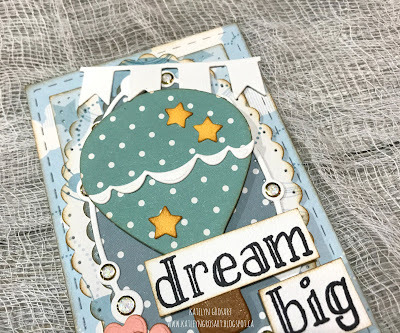 My second ATC is the Dream Big which features a lot of the same elements in the previous ATC, but I switched up the glitter dots and added hearts instead of stars. 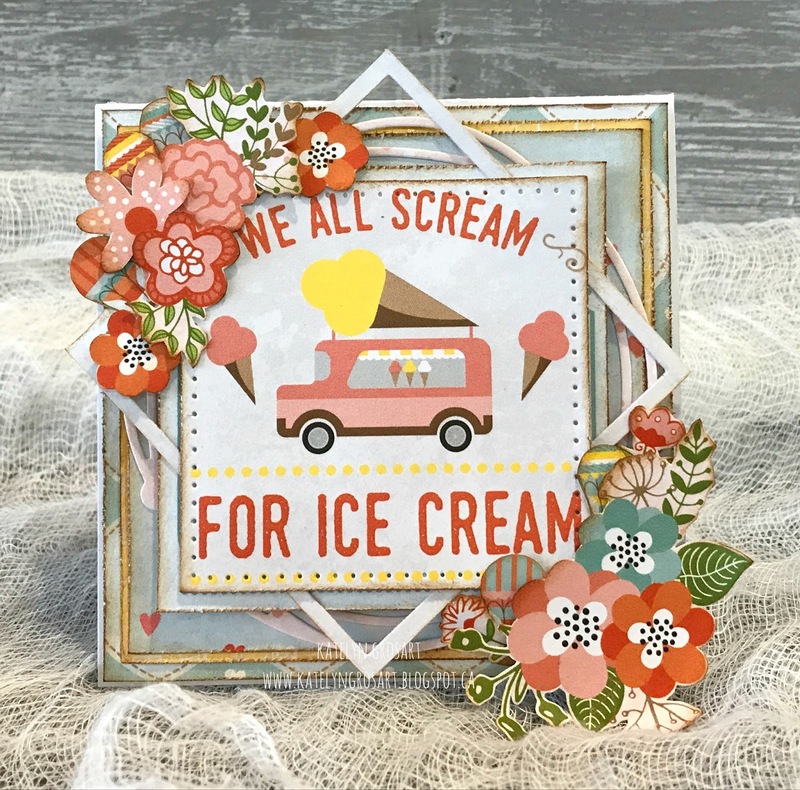 To add some extra detail in the bottom left corner, die cut two hearts from the Hot Air Balloon die out of Pink Soft Finish Cardstock. On the Beaded Oval Frame, add some Transparent/Gold Glitter Dots to the beads on the frame. For the sentiment, stamp the sentiment first and then cut it apart. Make sure to ink your edges of each element. Add the banner flags from the Celebration Flags die underneath the Hot Air Balloon. 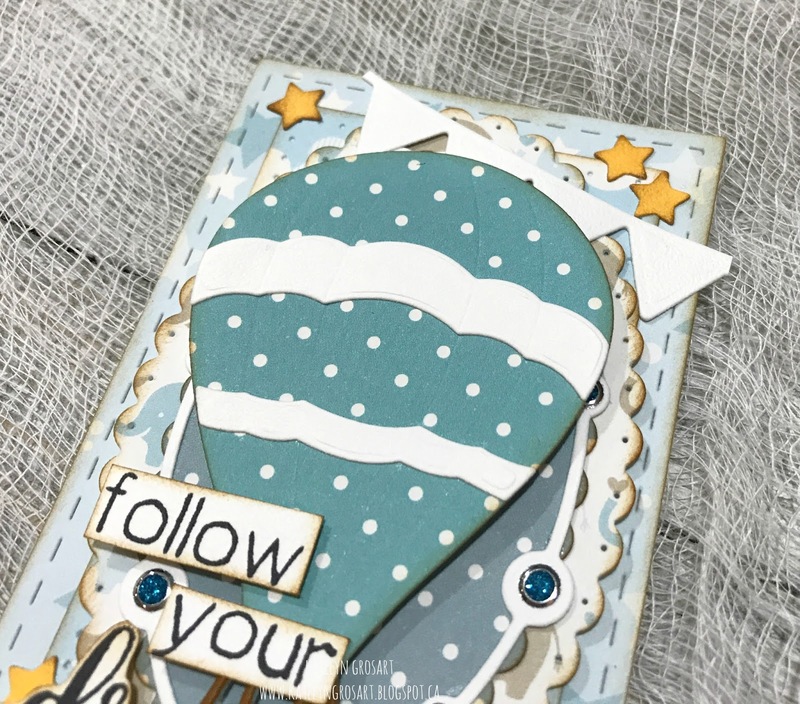 To decorate the hot air balloon, add three stars and a decorative edge. 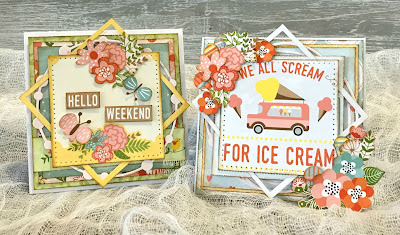 Thanks for stopping by and checking out my two ATC's. I hope that I've inspired you to recreate them at home. 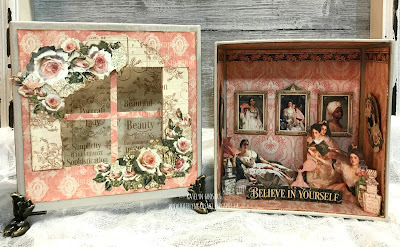 Today I'm up on Graphic 45's blog sharing with you my "Amour" French Country Scrapbook Layout which feature the French Country Deluxe Collectors along with a few Staples from the Staples Collection. 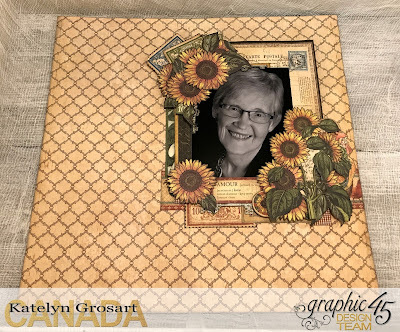 I have a few photos on my blog for you, but if you haven't stopped by Graphic 45's blog yet, make sure you do so that you can check out the rest of the photos of my project, a tutorial on how to recreate my "Amour" French Country scrapbook layout at home and Nico's fabulous project. 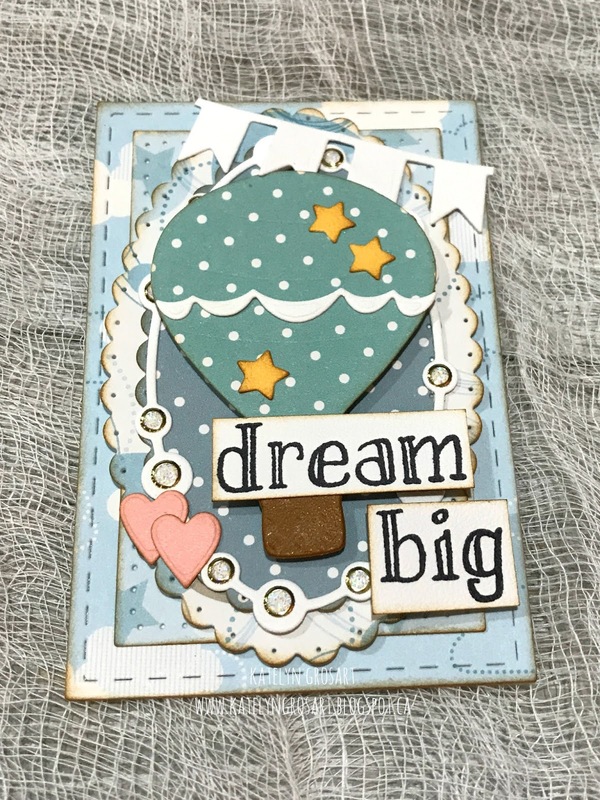 Tip: Mix chipboard elements with fussy cut images to create added interest on your layout. Thanks for stopping by and make sure to head over to Graphic 45's blog to check out the rest of the photos of my project, my tutorial and Nico's fabulous project! Happy Monday! 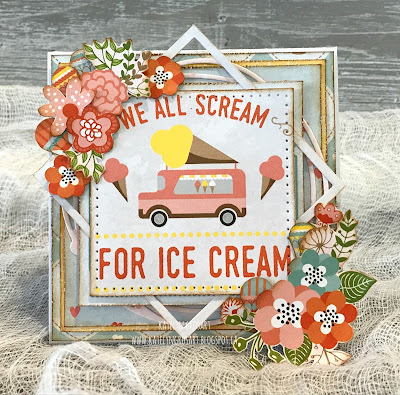 I'm up on Creative Scrapbooker Magazine's Blog today as a monthly blogger sharing my Hello Weekend & We All Scream For Ice Cream Note Cards that features Bo Bunny, Elizabeth Craft Designs, Ranger Ink and Scrapbook Adhesives by 3L products. 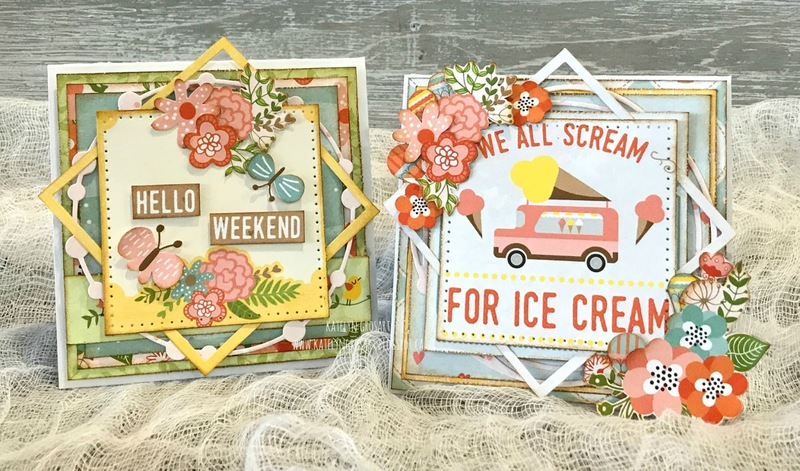 You'll want to make sure to stop by the Creative Scrapbooker Blog to read all about how I created my Hello Weekend & We All Scream For Ice Cream Note Cards, as well as read my tutorial so that you can recreate them at home. 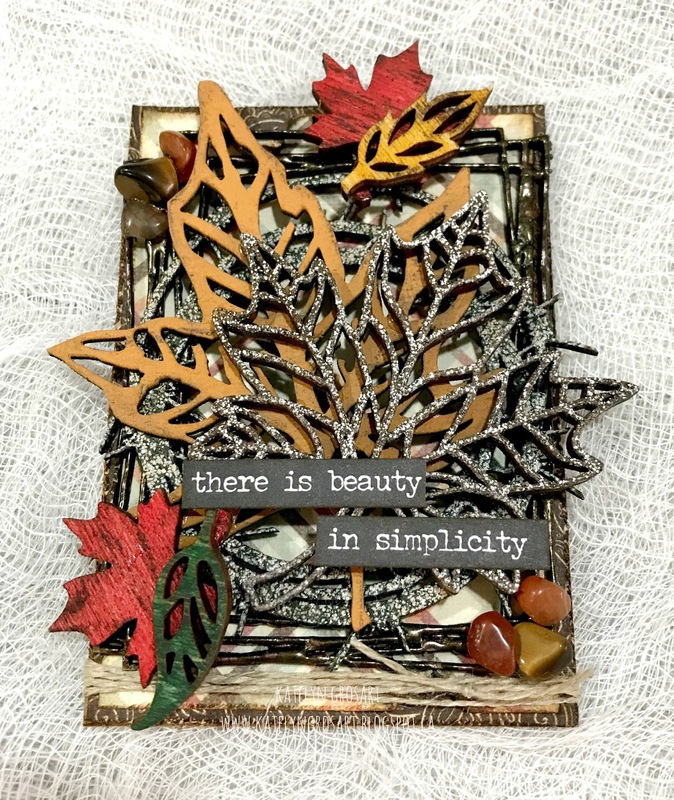 I'm back on Southern Ridge Trading Company's blog today sharing with you my There is Beauty in Simplicity ATC card which features a variety of our Fall chipboard and wood pieces. I hope that my There is Beauty in Simplicity ATC card will inspire you to want to recreate it at home. Make sure to head over to the Southern Ridge Trading Company Blog so that you can learn all about how I transformed my Fall chipboard and wood pieces for my There is Beauty in Simplicity ATC card. Happy Monday! I just wanted to let you all know that I will be teaching a Room with a View on Sunday, September.17th at Treasured Memories Scrapbooks, Stamping & More in Duncan, BC. I would love to see you at my class. Scroll down for the description below the photo, which will include the time, cost and how to register for the class. 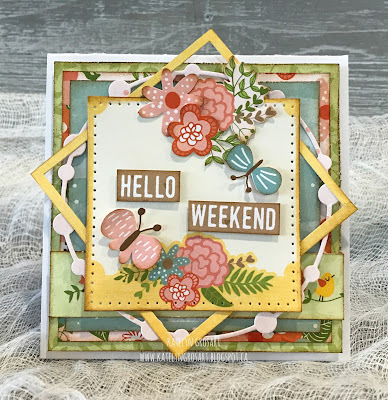 Take a step back in time as you create a beautiful Victorian Window Scene perfect as a home decor piece for your home or studio. 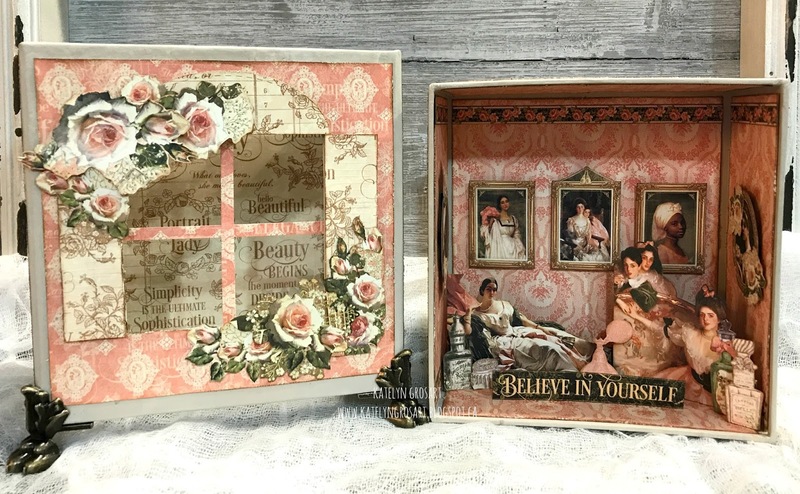 By combining Graphic 45's Portrait of a Lady Paper Collection and their Deep Square Matchbook Box, Katelyn will walk you through how to create this beautiful window scene. Katelyn will be teaching this beautiful project on Sunday, September.17th from 1:00pm to 4:00pm. 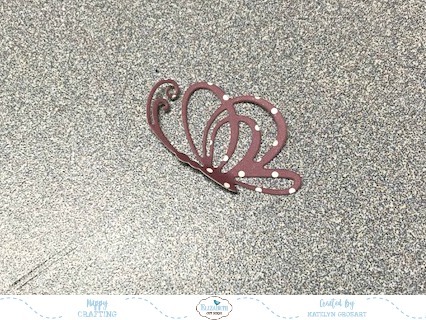 The cost of the class is $50.00 and includes all of your supplies except for adhesive. 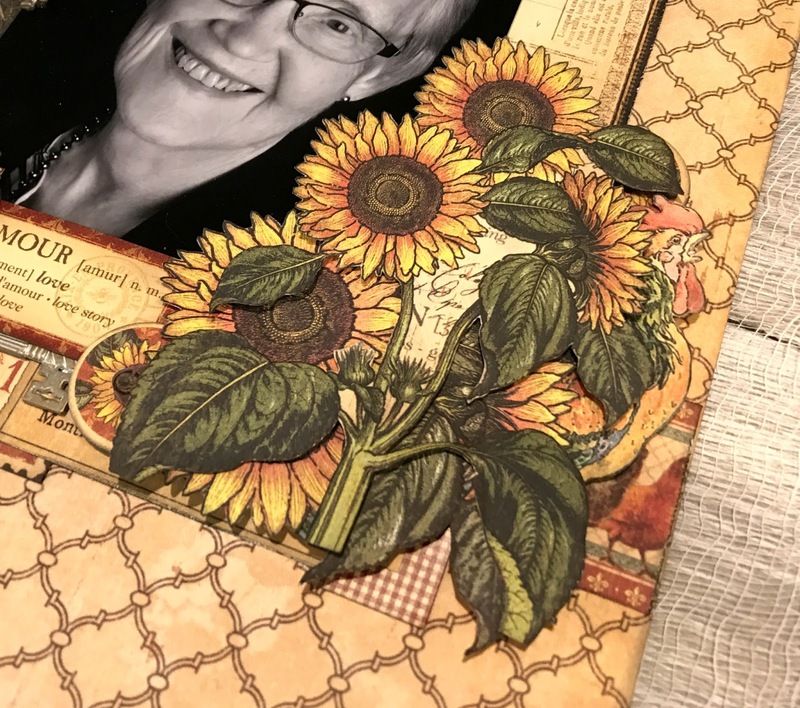 To register, you can call Treasured Memories Scrapbooks, Stamping & More at (250) 748-8054 or Toll Free 1-877-748-8054. Space is limited so register early! 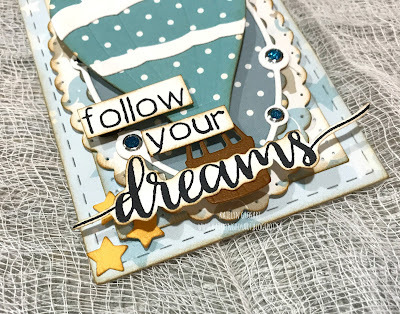 We're kicking off a new Die Cut and Colouring Team Designer Challenge on the Elizabeth Craft Designs blog today. 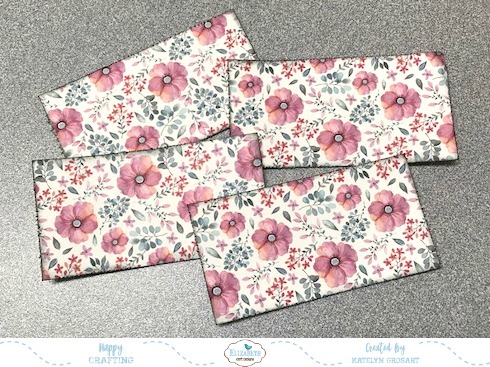 For August it's all about Gift Giving. With the challenge in mind, I set out to decorate a paper box perfect to give to that special someone with a special gift inside for them. Make sure to read below as I have a tutorial for you so that you can re-create my Happy Birthday Gift Box at home. 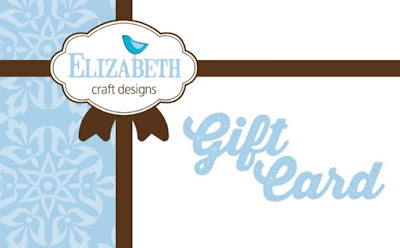 Read all the way down to the bottom as I have some information at the end of the post on how to get in on a fabulous giveaway from Elizabeth Craft Designs. 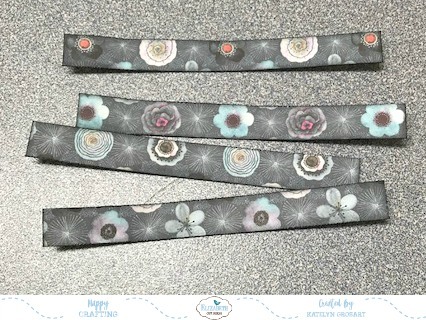 Start by trimming four strips of patterned paper that measure 3/8" x 3 7/8" from one of the Butterfly Dreams patterned papers. Distress the edges of each strip. 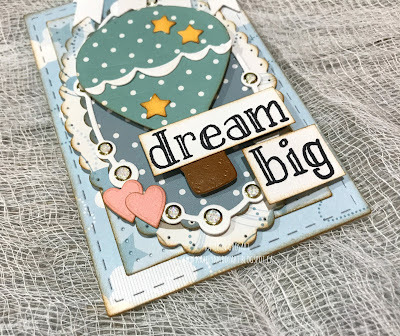 Using a blending tool with foam, ink the edges of the strips using Black Soot Distress Ink. Next, you'll want to cut four pieces from the same patterned paper as you used in the previous step that measure 2" x 3 5/8". Distress the edges of each patterned paper piece. 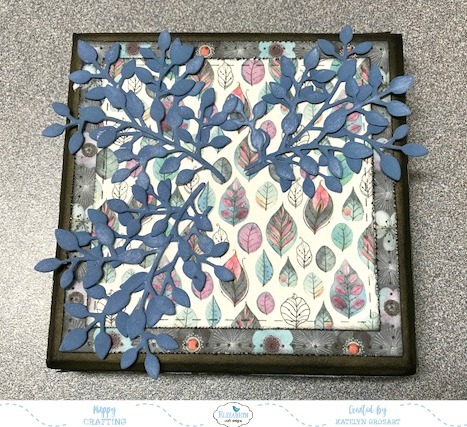 Using a blending tool with foam, ink the edges of the patterned paper pieces using Black Soot Distress Ink. 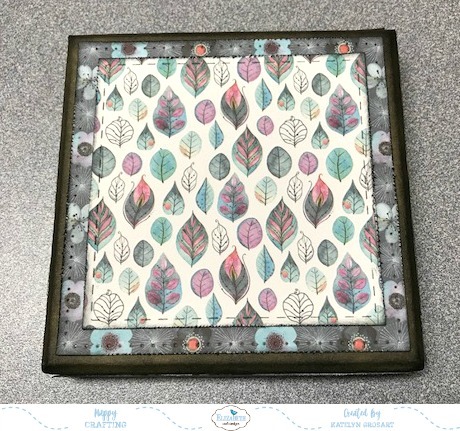 Using the same piece of patterned paper, die cut two 3 3/4" stitched squares. Distress the edges of each square. Using a blending tool with foam, ink the edges of each square using Black Soot Distress Ink. 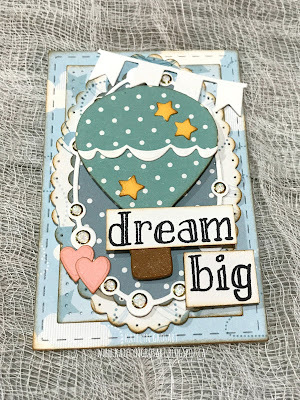 Die cut the 3 1/4" Stitched Square out of another patterned paper from the Butterfly Dreams pack. Distress the edges of the square. Using a blending tool with foam, ink the edges of the square using Black Soot Distress Ink. Cut four pieces that measure 1 3/4" x 3 3/8" from another piece of patterned paper from the Butterfly Dreams pack. Distress the edges of each patterned paper pieces. 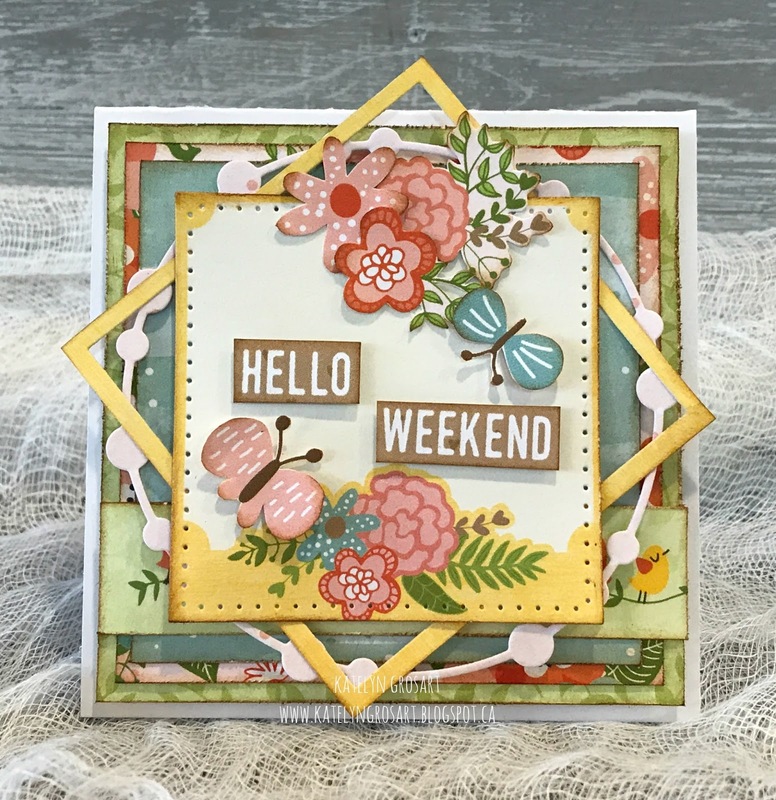 Using a blending tool with foam, ink the edges of the patterned paper pieces using Black Soot Distress Ink. 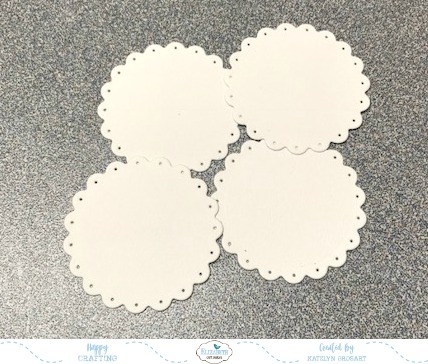 Die cut four 1 1/2" Dotted Scallop Circles out of White Soft Finish Cardstock. Die cut four Dragonflies out of the Thinking about you - Polinesia paper pack. 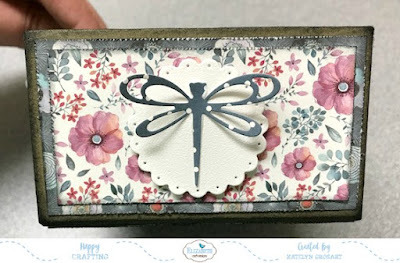 Die cut a Dancing Butterfly out of the Thinking of You - Polinesia paper pack. Using the Bunch of Flowers 3 die cut, die cut the circle flower from the Thinking about - Polinesia paper pack. 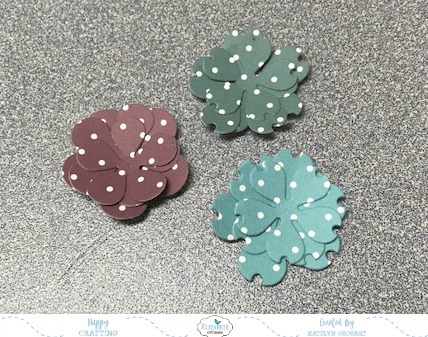 Using the Bunch of Flowers 4 die cut, die cut the circle flower with a notch twice from two different colours of paper from the Thinking About - Polinesia paper pack. 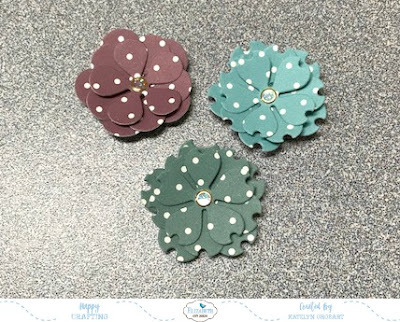 To finish off the centres of the flowers, add a large Transparent/Gold Glitter Dot to the centre of each flower. Die cut the 3/4" Stitched Fishtail Banner out of White Soft Finish Cardstock. Cut the banner down to 2 1/2" long. 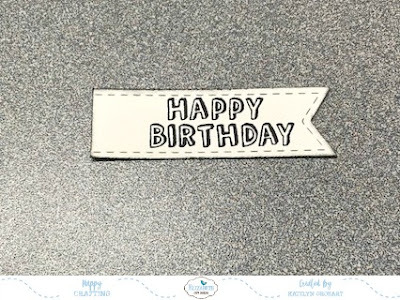 Apply Jet Black Archival Ink to the Happy Birthday sentiment. Stamp the Happy Birthday sentiment onto the banner. Ink the edges of the banner using Black Soot Distress Ink and a blending tool. 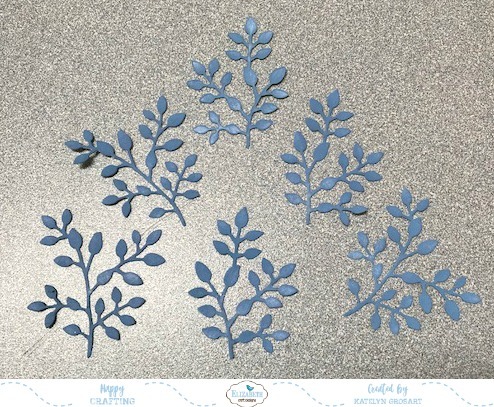 Cut six branches from the Leafy Branch 4 out of White Soft Finish Cardstock. 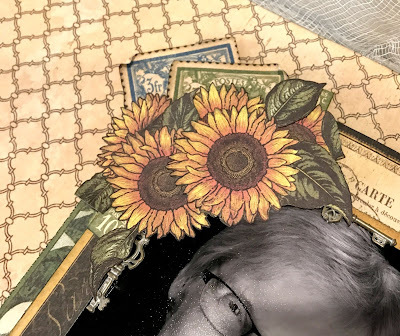 Using a blending tool and Faded Jeans Distress Oxide Ink, ink all six branches. Set the branches aside to dry. 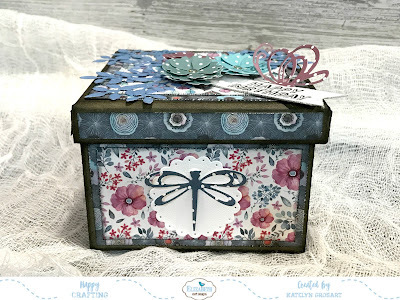 Now it's time to start to decorate your box. Start by inking the edges of the box using Black Soot Distress Ink. 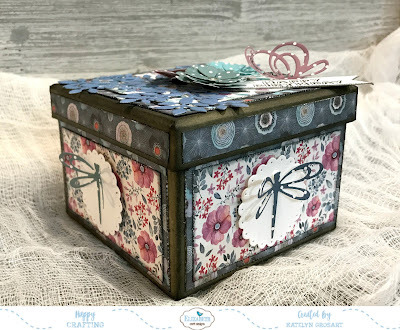 Adhere the strips of patterned paper to the top of the box on all four sides. 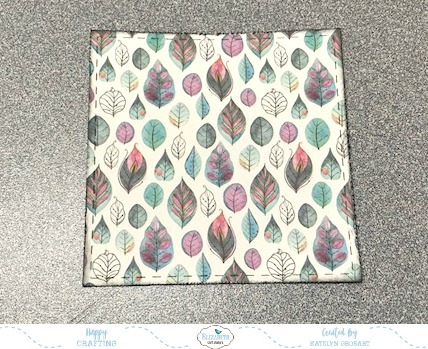 Adhere the 3 1/4" stitched square to the 3 3/4" stitched square. Adhere the 3 3/4" stitched square to the top of the box lid. On the top of the box lid, adhere the six branches as desired. 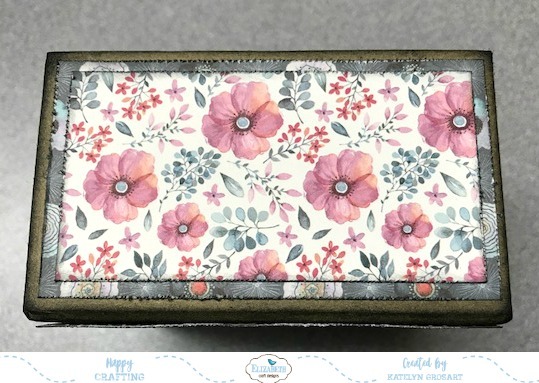 Adhere the flowers to the top of the box, making sure that the flowers cover where the branches meet. Adhere the Happy Birthday Banner underneath the flowers. 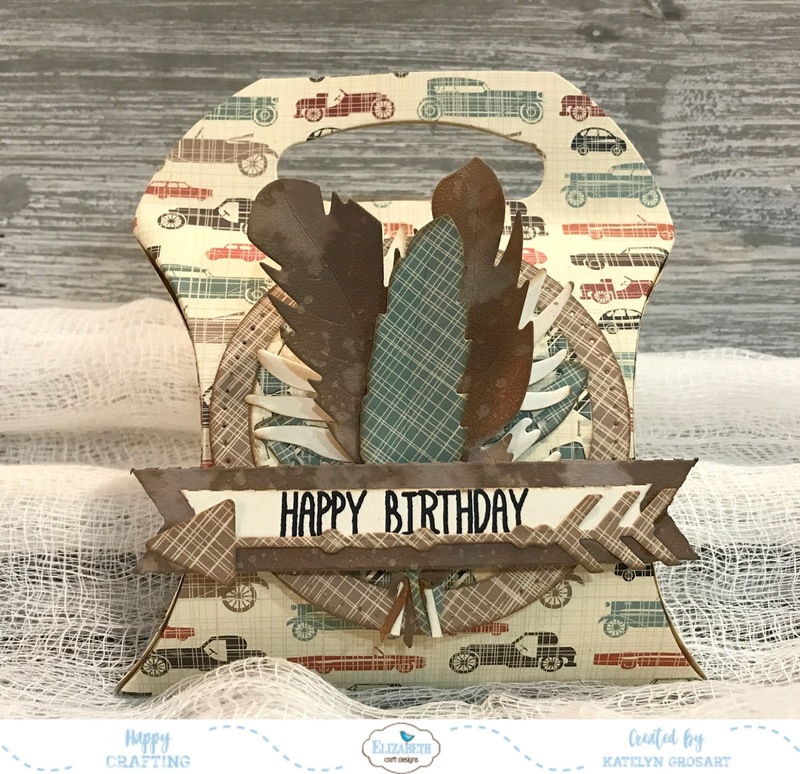 Adhere the butterfly to the top of the Happy Birthday banner. Adhere the other stitched square to the bottom of the box. Adhere the 2" patterned paper pieces to all four sides of the box. 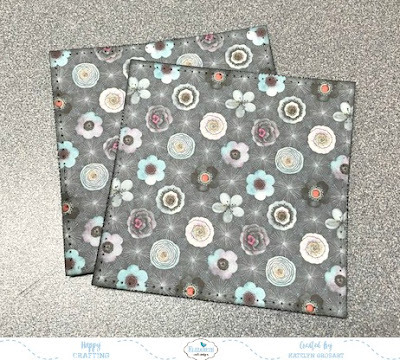 Adhere the 1 3/4" patterned paper pieces overtop of the 2" patterned paper pieces. 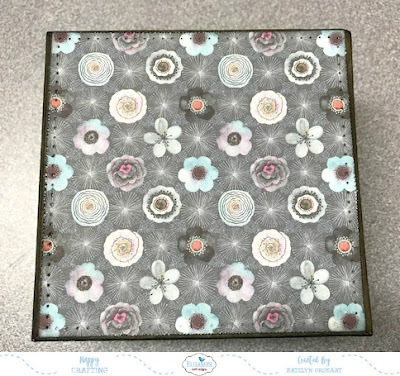 Foam square the dotted scallop circles to the middle of the 1 3/4" patterned paper piece on all four sides of the box. 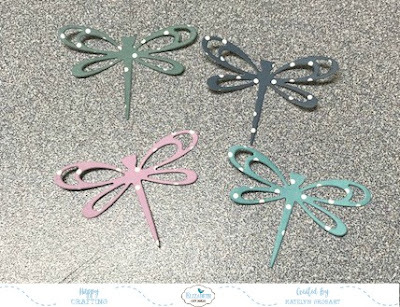 Adhere a dragonfly on each dotted scallop circles. 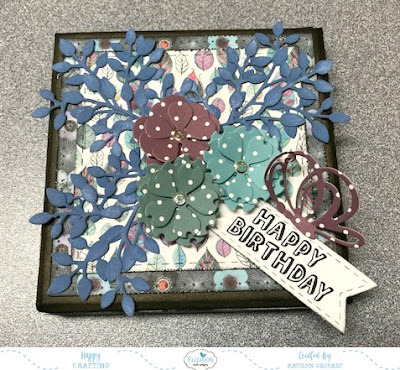 Here are a few close up photos of my Happy Birthday Gift Box. 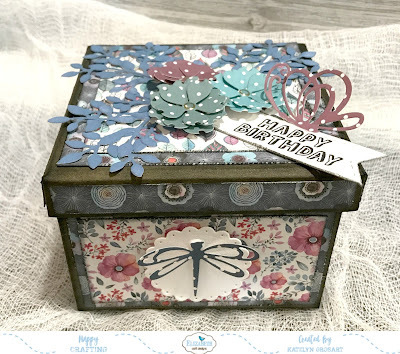 And here's my finished Happy Birthday Gift Box. The winners will be announced on Friday, August 18 on the Elizabeth Craft Designs blog. I'm up on Southern Ridge Trading Company's blog today sharing with you my Happy Halloween Tag which features a variety of our newly released Halloween chipboard pieces. I hope that my Happy Halloween Tag will inspire you to want to recreate it at home. 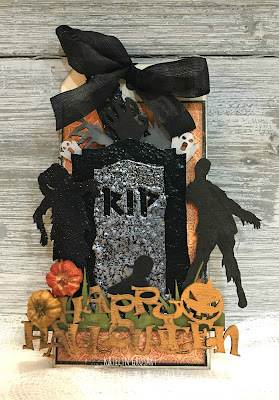 Make sure to head over to the Southern Ridge Trading Company Blog so that you can learn all about how I transformed my Halloween chipboard pieces for my Happy Halloween Tag. Today, I'm up on the Elizabeth Craft Designs blog today sharing my Masculine Happy Birthday Pillow Box. 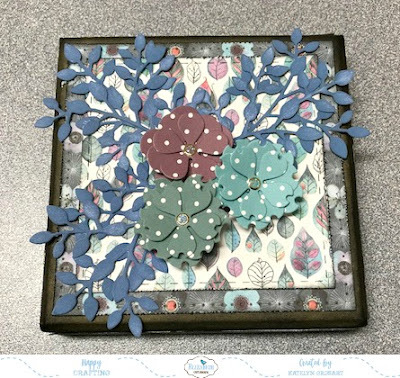 I've created my Pillow Box using a few dies from ModaScrap, Els van de Burgt Studio and Joset Designs. 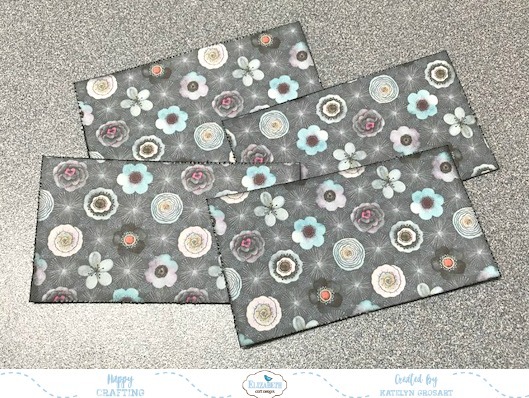 To compliment the die cut images, I've also used the new Manly Man Patterned Paper Pack from ModaScrap. 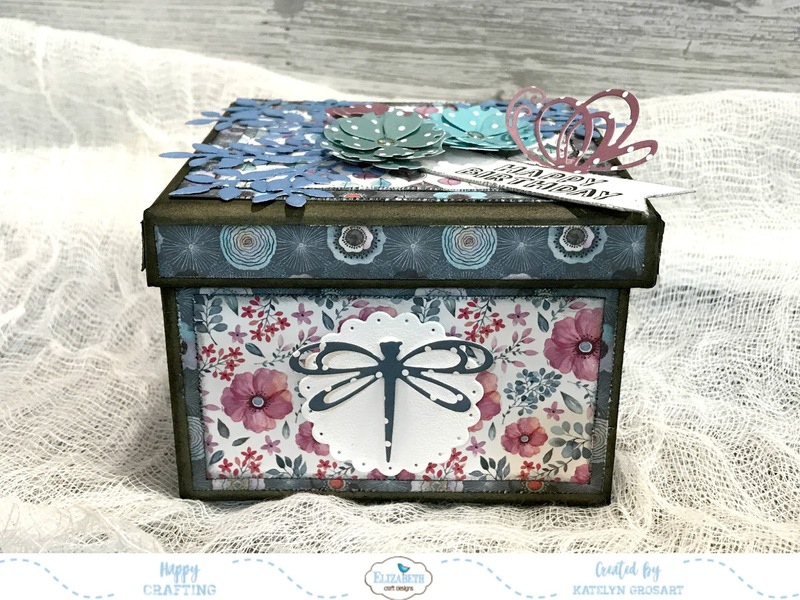 You'll want to make sure your way over to Elizabeth Crafts Designs Blog to read all about how I created my Masculine Happy Birthday Pillow Box, so that you can recreate it at home.